Firm founder, Robert A. "Tony" Buzzard has been representing people in Lillington and the neighboring communities for more than 20 years. Tony built his practice on the principle of helping hardworking people recover the compensation and benefits they need after suffering serious injuries. Throughout his career, he has secured millions of dollars on behalf of his clients who have suffered injuries due to medical malpractice, car and truck accidents and a host of work-related injuries. Furthermore, Tony has developed a criminal defense practice that has allowed him to defend the rights of criminally accused in some of the most complex cases, including capital murder cases. Accompanying Tony at our firm is attorney Elisa Jernigan. As a skilled trial lawyer, Elisa handles a variety of civil and criminal cases as well as domestic law matters. 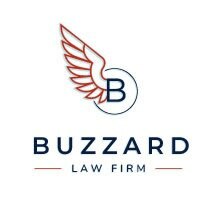 At Buzzard Law Firm, we know through our personal and professional experiences the importance of building strong professional relationships with our clients. By working together, we establish trust and an open dialogue that helps us understand specific issues facing our clients. This process allows us to offer solutions that meet their individual goals. This one-on-one, down home approach reflects our attitude as a small firm that offers the skill, experience and resources of a much larger practice. Regardless of your legal issue, there's no doubt you have questions. Go ahead and call us at the Buzzard Law Firm to speak with an attorney and gather the answers and information you need to start moving forward. From our office in Lillington, we work with clients throughout North Carolina. We offer free consultations for all Criminal and Injury cases.